Charleston Police looking for man who exposed himself to children | Crime Stoppers of the Lowcountry: 554-1111 | 1-888-CRIME-SC | Anonymous tips earn cash rewards with Crime Stoppers of the Lowcountry. CHARLESTON, SC (WCBD) - Charleston police need your help finding a man they say exposed himself to two young girls. 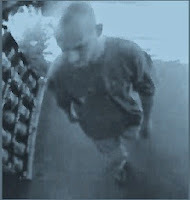 On 06/09/14 between 7:00 and 7:40 the above subject followed two juvenile females inside the West Ashley Wal-Mart store. After following them as they wandered various aisles, he eventually walked back and forth by one of the toy aisles, where he observed the two young girls. The subject then walked down that aisle, where he first exposed himself to the female children. The subject then left the store from the garden area entrance/exit. Police say the subject fled the area in the white pickup truck. The vehicle appears to be a smaller size white regular cab pickup truck. The photo shows the subject in the Wal-Mart during the time frame of this incident. The subject was described as wearing a dark red in color shirt and was possibly in his 30’s.